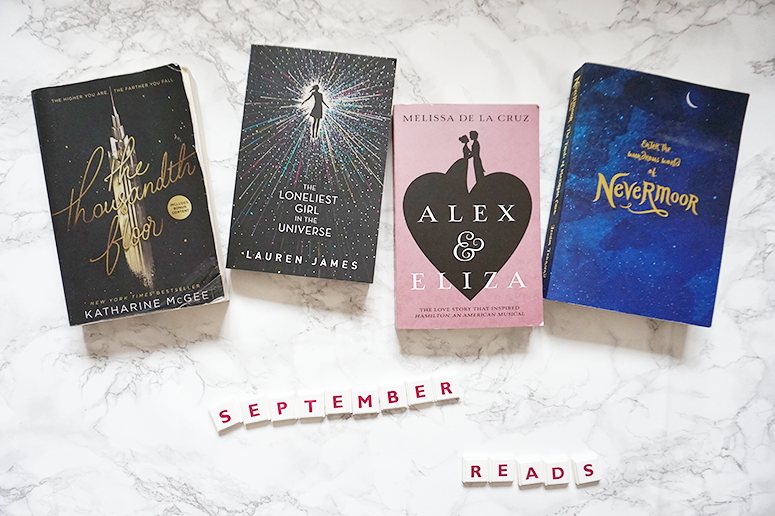 I'm not sure if I have just been incredibly lucky or if I've become more selective with the novels I choose to read, but whatever the reason September was a stellar bookish month in which I only read novels that I absolutely loved (seriously, 4 and 5 stars across the board!). 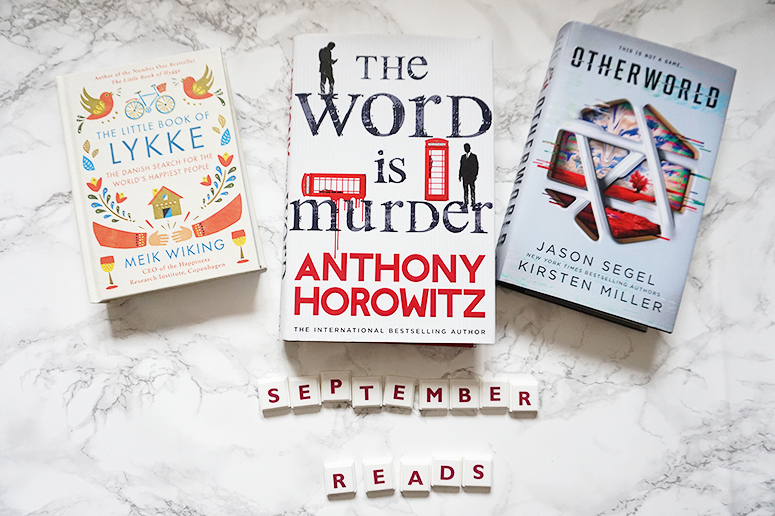 It's hard to pick favourites from such an excellent bunch but if I must narrow it down, I have to shout-out meta-fictional murder mystery The Word is Murder by Anthony Horowitz, gaming sci-fi Otherworld by Jason Segel and Kirsten Miller, wondrous children's fantasy Nevermoor by Jessica Townsend, and the inspiring The Little Book of Lykke by Meik Wiking. This book by Meik Wiking falls most definitely in the cosy and heartwarming category. With the follow-up to his super comforting The Little Book of Hygge, in which he details the secrets to the Danish way of living well, The Little Book of Lykke delves into Meik's global search for happiness and things that have made a positive impact on the world. As the CEO of the Happiness Research Institute there isn't a better person to have undertaken this search, and he's compiled an admirable list of inspiring stats and case studies in his book. With its autumnal exterior and positive contents, this is a read that provides inspiring moments of happiness. Read my full review here. 5 stars. Purchase here. I'm not usually the murder mystery type, but I am a huge fan of Anthony Horowitz's diverse work and so I picked this one up on a whim, and wow am I glad that I did. Horowitz has taken his expertise of old-fashioned detectiving from his time writing Sherlock Holmes and placed the story in a contemporary setting... with himself as the Watson-like side-kick to an unlikeable but whip-smart consultant to the police force. The original murder mystery is interwoven with real moments from Horowitz's life, creating a meta-fictional and extremely gripping read that I was unable to put down. Holmes and Watson who? More Hawthorne and Horowitz please! 5 stars. Purchase here. Kids getting stuck in a virtual game and having to fight for their lives against computer pixels perhaps isn't an entirely new concept, but the execution in this fast-paced page-turner by actor Jason Segel and his writing partner Kirsten Miller was hugely refreshing and unexpected and this was one of those occasions where it was near impossible to close the book when my commute was over as I *had* to know how it would continue. Interestingly, protagonist Simon wasn't someone I was particularly fond of, but the exciting world-building both in the real world and the virtual one, the highly riveting conspiracy theory story, and the fascinating side characters I want to explore in more detail is what made this book so gripping and fascinating to me. 5 stars. This one isn't out until 31 October but you can pre-order a copy here. The Thousandth Floor is what you get when you move the bitchiness and backstabbing of privileged teens from Gossip Girl's Upper East Side to a dystopian future where a 10,000 feet high skyscraper separates the working class from the filthy rich. The wealthier someone is, the higher they live in the building, and no-one is more privileged than the Fuller family living at the very top on the thousandth floor. Siblings Avery and Atlas Fuller seem to have everything they could possible want in life, but there is one thing that has always been out of reach. Despite the opening prologue hinting at the novel's conclusion, it still came as a shock to me. 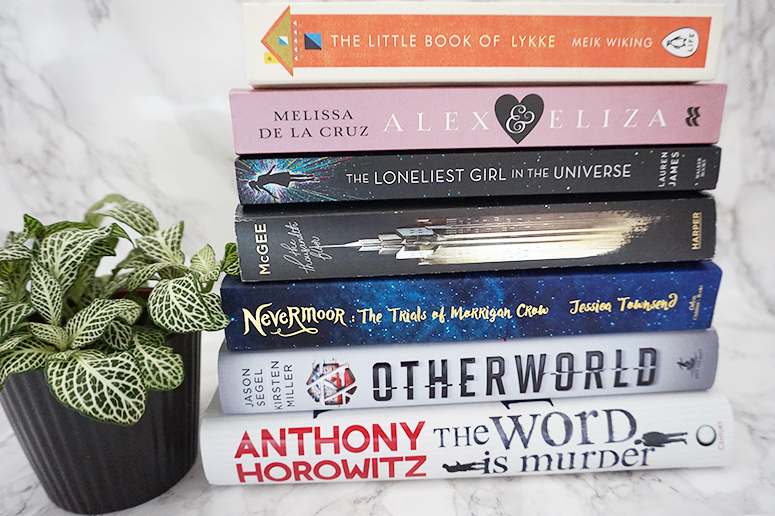 While I was already gripped by the glitz, glamour and slightly sci-fi world of The Thousandth Floor, after THAT ending I am completely hooked and I am ready for the next installment in the series. 4 stars. Purchase here. Chilling to the core, I was gripped by this totally unique YA novel from the very first chapter as we get to meet protagonist Romy, a teenager left in charge of the spaceship she was born on, The Infinity, on a mission to reach an inhabitable planet far away from earth to establish a new civilisation. Her parents are dead, in fact the entire crew of The Infinity outside of Romy is dead, and while we don’t know yet why we do get the sense that the truth is horrifying. The novel went a little over my head timey wimey wise at times but even so I haven’t felt this gripped by a fictional story in many months and I now want to explore more YA space adventures! Read my full review here. 5 stars. Purchase here. When I was 13-years-old I received a copy of the first Harry Potter. While there was a tiny buzz around it at the time, teenage me hadn't a clue yet that I was gifted entry into an incredible world that would keep me hooked until well into adulthood. The story of Nevermoor captures that same feeling of wonder and magic. Not in a wizarding way like Harry Potter but equally imaginative and fantastical; creating an exciting new world for children and adults to fall in love with. Morrigan Crow is a likeable misfit whisked away from her cursed life with unloving parents by an eccentric mentor into a magical world where she has to pass a series of trials to get into The Wundrous Society; an adventure filled with twists, turns, friends and foes. And with a sinister villain lurking at the edges of the pages, author Jessica Townsend also sets up the arc for future instalments neatly. I'm hooked. 5 stars. This book is published on 12 October and you can pre-order your copy here. I don't often read historical fiction, especially of the YA variety, but I'm surely not the only one who picked up this book purely because of an obsession with the Hamilton musical. I know very little about the Founding Fathers of America and that entire part of American history and I'd been meaning to read up on it before seeing the show – so this seemed the perfect opportunity to do so. While this book focuses on the romance between Alexander Hamilton and Elizabeth Schuyler, it's also seeped in historical references and famous players of the time, providing a really interesting reference point for this pivotal time in history. The romance at the heart of the story was a great one too; Eliza was a feisty and independent protagonist, fiercely intelligent and a real match for Alex's own incredible quick rise to the top. While their love story was romanticised and overly perfect, sometimes you're just in the mood for a swoony read – and this perfectly fit that purpose. 4 stars. Purchase here. Have you read any of the above books? 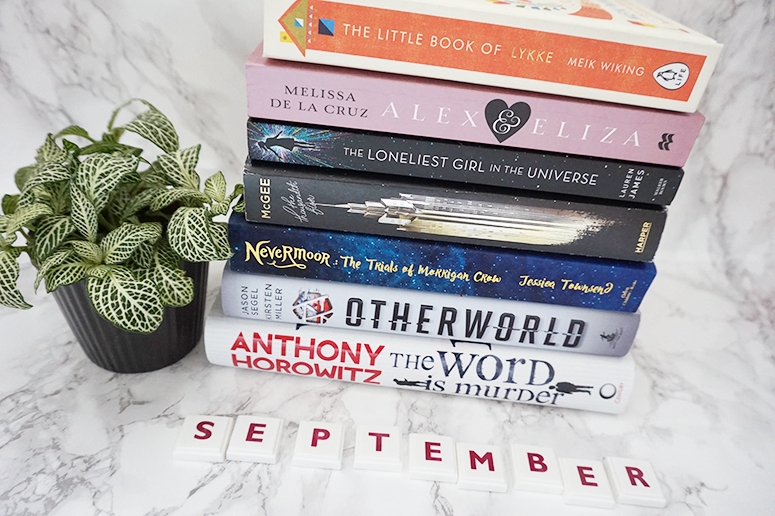 And what have you read in September? Let me know in the comments below!